Have you ever thought about producing custom scarves for your footy team? And the supplier you have found so far will only start scarf production if you take at least 75pcs or even more in one order? Well, then it is time to check out Wildemasche.com. Is it ok to get just 1 / 5 / 10 pcs? What is your minimum order quantity? And we go: the MOQ is one, uno, eins, 1. And now have fun designing your custom footy scarf. 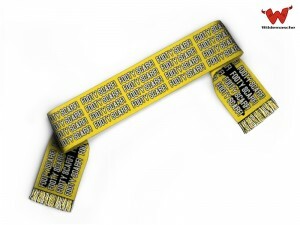 This entry was posted in Online Shop and tagged footy scarf, MOQ, single pieces on September 4, 2013 by user2.